Analyst Ming-Chi Kuo of KGI Securities said on Monday he believes that preorder demand for the iPhone X could top 50 million units. He noted that it is the first completely revamped form factor for the iPhone since the iPhone 6 debuted in 2014 —an update that generated a so-called "super cycle" for purchases, upgrades and switchers. In particular, Kuo said he is convinced that the new Face ID login feature will be a major selling point, as no one else on the market offers such a seamless and reliable experience. But that selling point is also a bottleneck for Apple in terms of iPhone X production, Kuo claims. "The 3D sensing (TrueDepth camera) on iPhone X is composed of a structured-light system, time-of-flight system and a front-facing camera, which represents a far more complex structure than those of rivals," Kuo said. "It will therefore be harder to achieve mass production." 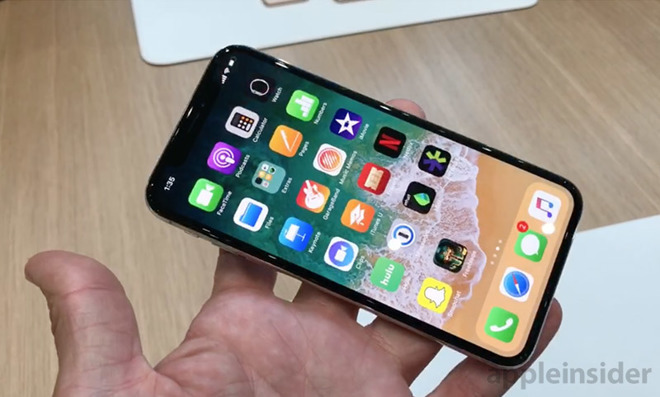 Kuo believes that Apple will ramp up output of the iPhone X in late October, ahead of an early November launch. But he doesn't think that supply will begin to catch up with demand until some point in the first half of calendar year 2018. Preorders for the all-new iPhone X begin Oct. 27, while the device arrives on Nov. 3. In addition to its facial recognition camera, it features an edge-to-edge OLED display, wireless charging, and dual rear cameras.